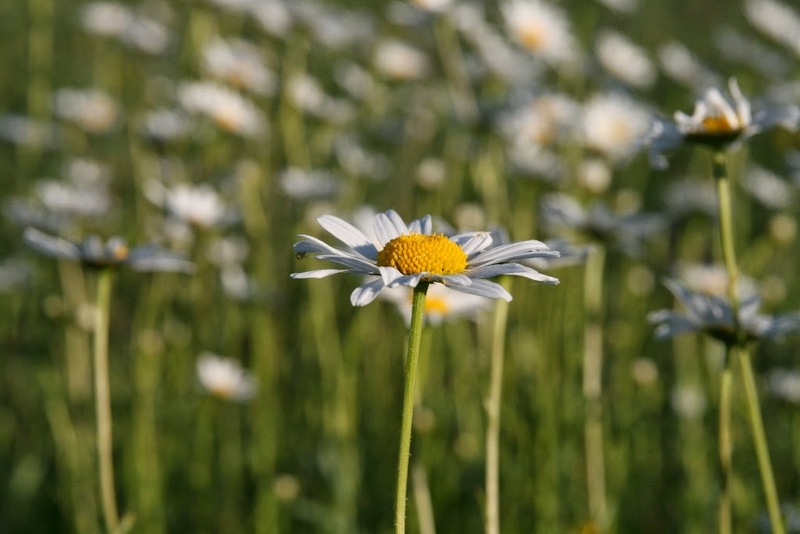 The Ox-eye Daisy, Moon Daisy or Dog Daisy Leucanthemum vulgare , a member of the Asteraceae family, is the largest native daisy and a familiar sight brightening many a road side verge. 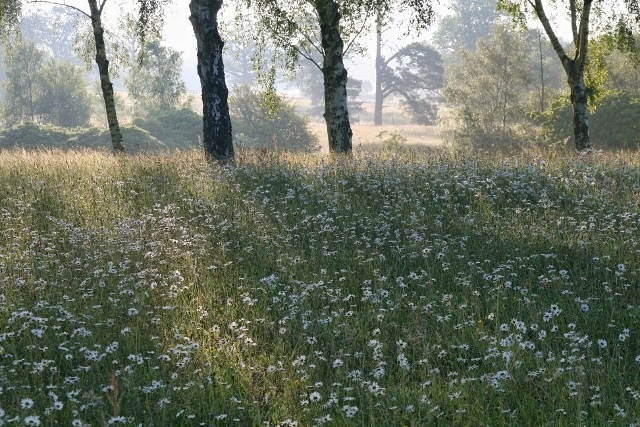 The daisies and buttercups turn the meadow at High Beeches into a haze of white and gold in June, particularly beautiful in the evening light. They attract, along, with the other wildflowers, a huge number of insects and butterflies to the meadow. 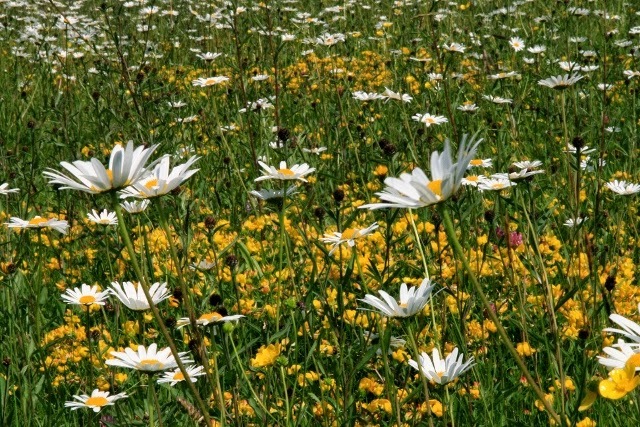 Mysteriously the number of daisies in the meadow fluctuates every year. They are perennials and seed copiously and as the meadow is managed in the same way each year, the reason for fluctuation in numbers must be down to changes in the weather. , Both the Meadow Buttercup, Ranunculus acris, and Creeping Buttercup, Ranunculus repens are to be found in the meadow. Lesser Spearwort, Ranunculus flammula grows in wet places in the garden. Recently Arthur Hoare of the Sussex Botanical Recording Society has also identified the Bulbous Buttercup, Ranunculus bulbosus, also growing in the garden.